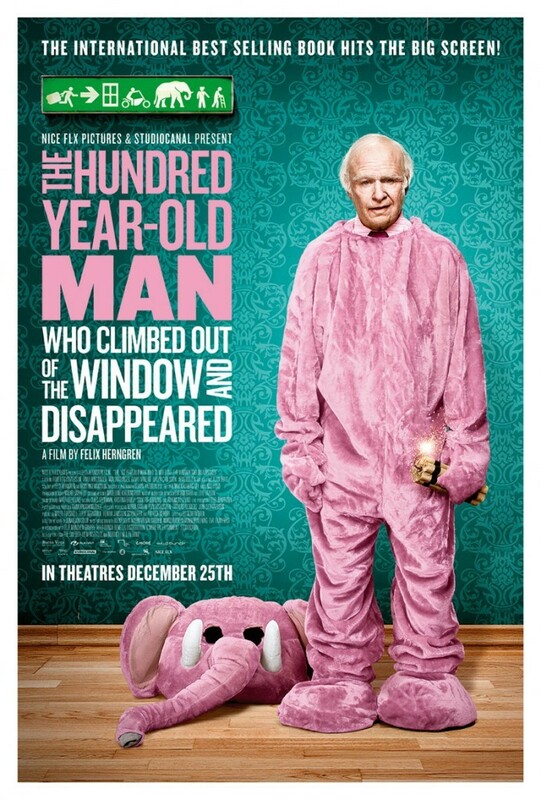 Film Review: ‘The 100-Year-Old Man Who Climbed Out The Window and Disappeared’! I knew nothing about this film other than the title but that was enough for me to watch it and I’m beyond happy I gave it a shot. ‘The 100-Year-Old Man Who Climbed Out The Window and Disappeared‘ is definitely a mouthful for a title, but it stands out. 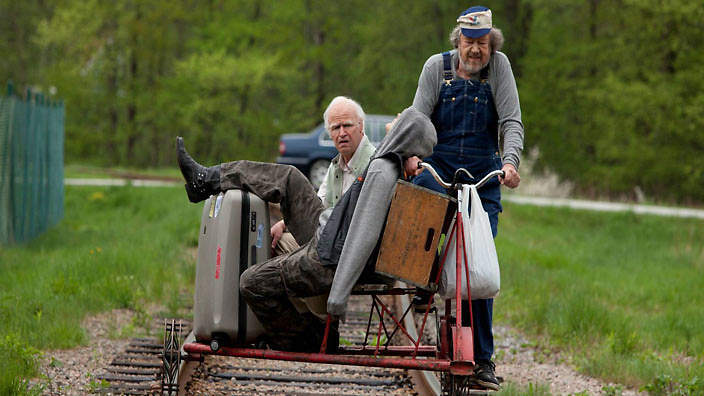 The film is an adaptation of the novel of the same name by Jonas Jonasson and has become the third highest grossing Swedish film of all time with good reason. 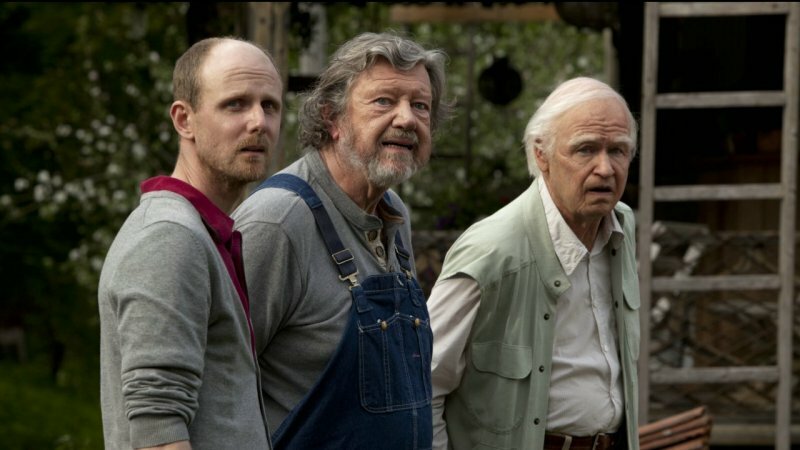 Directed by Felix Herngren and starring Robert Gustafsson who, in his own right, is a gifted writer, actor and director of Swedish media, he shares the screen with the acting legends Iwar Wiklander, David Wiberg, Mia Skaringer and Jens Hulten. Most would think a man on his 100th birthday would be content to sit in a nursing home eating cake and sharing the event with those closest to him. Those people haven’t met Allan Karlsson, the 100-year-old in question who makes a hasty exit from his party via his window. What follows is one of the most entertaining and laugh-out-loud hilarious string of events I believe have ever been linked. There’s an accidental freezing, a tango with an elephant and a man that loves to blow things up. This all happens as Allan tells us his story in a style that hearkens back to ‘Forrest Gump‘. Allan leaves his nursing home and walks to a bus stop where he inadvertently steals millions from the Russian mafia. He’s a simple-minded man who eats and drinks when it’s offered and whacks people in the head with a shovel if the situation calls for it. We see him eating dinner with the future President Harry S. Truman, hitchhikes with Winston Churchill, travels on a riverboat with the wife of Chairman Mao Zedong and walks across the Himalayas on foot not to mention the ease he has with getting close to the world’s political powers of the day. It’s a fantastic tale full of new and remembered adventures as he and a companion or two he picks up along the way as they evade both the police and the Russian mob. There are portions of the film where English is spoken, but primarily it’s in Swedish with subtitles. I really don’t even think the film would be more enjoyable if it were in English, it was glorious. My 13 year old daughter watched most of it with me and we laughed so hard together, it was just fantastic. The serious moments the film had were still kept light by the music or the actions of the actors. All things considered, I’m a fan, I’d recommend this to anyone that doesn’t mind subtitles and wants an amusing, funny story. I missed the novel and can’t compare the two, but I have added it to my list to read. Seriously fantastic picture, I can’t rave enough about this one. Definitely check this one out. This entry was posted on Tuesday, May 19th, 2015 at 6:01 pm	and is filed under Books, Film, News. You can follow any responses to this entry through the RSS 2.0 feed. You can skip to the end and leave a response. Pinging is currently not allowed. « Taye Diggs Breaks Barrier And Will Take Over As Hedwig on Broadway!! !